Gisborne provides in house engineered fire protection systems for the forest, mining and heavy industrial sector. We retrofit & upgrade existing systems. We would be pleased to work with you or your engineers to provide your fire protection solutions. Our project range includes the protection of a large power generating station to the design and installation of systems in the mining sector. Gisborne Fire Protection is one of Canada's leading supplier of fire protection systems for OSB and MDF board plants. Weyerhaeuser, Georgia Pacific, and Louisiana Pacific are among our valued customers. We have also developed expertise with sulphur handling and provide wash down systems for port facilities and terminals. We also have completed projects in the oil and gas industry and have completed a 4 year project for the complete replacement of the fire protection systems at the WAC Bennett Dam in Northeastern BC. Gisborne provides in house engineered fire protection systems for the commercial and residential sector. Large high rise apartments, shopping malls, airports, schools, large box retail stores, are but a few of the areas we design and construct. Gisborne’s BC and Alberta Divisions have been extremely active in these sectors, including providing design and installation services for cold storage facilities, recreation centers, remand centers, multi story residential/commercial towers (up to 60 stories in height), schools and universities, hospitals, warehousing, & shopping malls. We support our highly skilled workforce with an excellent management team and an in house design group. This enables Gisborne to offer our clients a full service contractor who is able meet all of their fire protection needs. 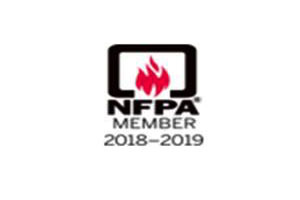 We are one of Western Canada's leading fire protection companies and regularly work on a wide variety of industrial, commercial, residential and institutional projects. Our experience allows us to provide economical solutions to your needs or problems. We have excellent relationships with the major fire underwriters and provide fast professional service, including a 24-hour, 7 days a week emergency response. We have been in the engineering, construction and fire protection business for over 40 years and guarantee our work.